I can't get it to load. ( I try to load it in Logon Studio, but won't work. Can anyone help? Unzip the .logonxp file to your desktop or such, then doubleclick the file. Yes it works fine, and I reposted it unzipped for challenge. 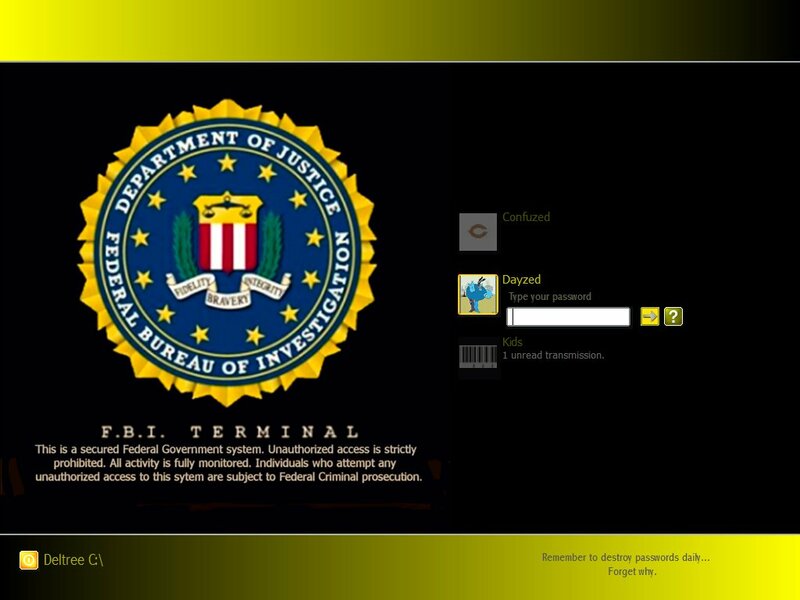 I need help in setting up this FBI Logon.. There's something I'd like to ask of you.. I love the idea.. Great work. SuN-ShaNe I've been outta touch sorry. Are you operating? My new eamail is DayzenConfeuzd@msn.com.